As we’re getting ready to say goodbye to 2014, I thought that I would take a look back at some of my favourite beauty finds from throughout the year. Whilst not every product is a 2014 release, they are all products that I have personally tried out for the first time this year. You may have seen a bit about each product on the blog already if you are a regular reader and you may have tried some of them yourself. If you haven’t tried them out though then this list can also be seen as my top recommendations from this year. I must say though, this list has been pretty difficult to compile. There have been so many great products that I have come by this year that trying to narrow it down to a select few was one heck of a challenge! Some products only narrowly missed being included, but I have given some of them an honourable mention at the end of the post. Speaking of the end of the post, I have also saved the best product until last. The end of the post details my top overall product from 2014, so make sure you get down to the end to see what is my most highly recommended product! As well as including primarily adult-beauty products, I have also included my top baby toiletry product of the year for other parents out there. Feel free to leave a comment at the end of the post discussing your top products, too! So here we have it: The Beautifinous Top Beauty Products of 2014. Dior’s Diorshow Iconic Mascara is a mascara that provides curl, intensity, length and volume to the lashes. It contains two Dior innovations; the ‘Lift Model’ complex, inspired by hair spray for long-term hold, and the soft silicone brush that makes sure that every lash curls. This had to be included as one of my top products of the year for a few reasons. As I explained in my Diorshow Iconic review, it applies like a dream, leaves behind no clumps, provides great curl and definition and there is no tugging on the lashes during application. I’ve tried so many mascaras over the years, but this one is my current favourite. If you like a top quality mascara, Diorshow Iconic is one that you have to try out. 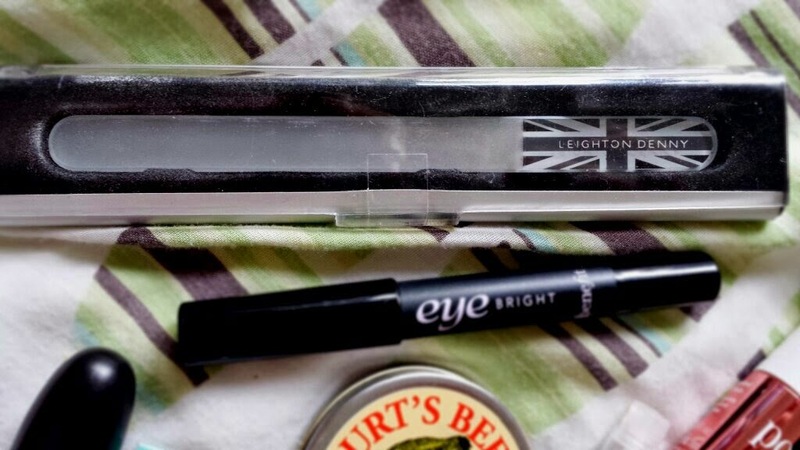 The Leighton Denny Crystal Nail File is described as the ‘Rolls Royce’ of nail files. As you file, the nail simply turns into dust. It has also won numerous awards. This is by far the best nail file that I have ever used. Nail edges are left smooth with minimal effort, and when you don’t have much time to tend to your talons any longer that can be an incredible amount of help! As it is a glass file, you don’t have to file the nail in just one direction. This means that you can use a gentle sawing motion (which you shouldn’t do otherwise). I haven’t discussed it much on the blog yet, but it doesn’t mean that there is a lack of love for this baby. If you love your nails then the Leighton Denny Crystal Nail File has to be given a go! Where to buy: Boots - £15.50. The BeautyBlender is a small, egg-shaped, latex-free makeup applicator sponge. It helps to blend foundation seamlessly, leaving no noticeable application marks behind thanks to its shape containing no edges. It was created by top Hollywood makeup artist Rea Ann Silva. 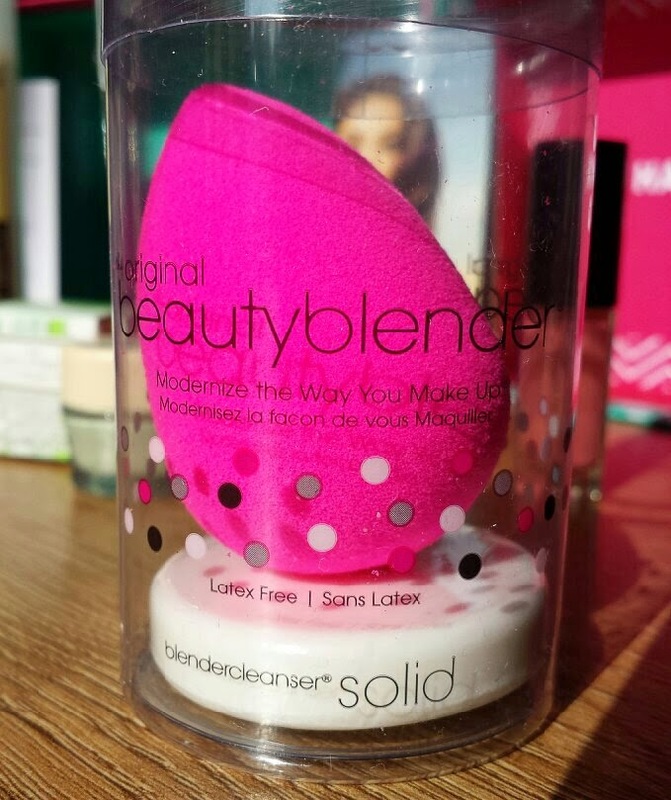 Since receiving the BeautyBlender in my September Birchbox, I haven’t looked back. It’s an outstanding product that has really helped to improve the look and finish of my foundation. I now can’t imagine being without one. Where to buy: Beauty Bay - Without BeautyCleanser £16 (currently on offer at time of posting down to £14.24), with BeautyCleanser - £26 (currently on offer to £23.14). 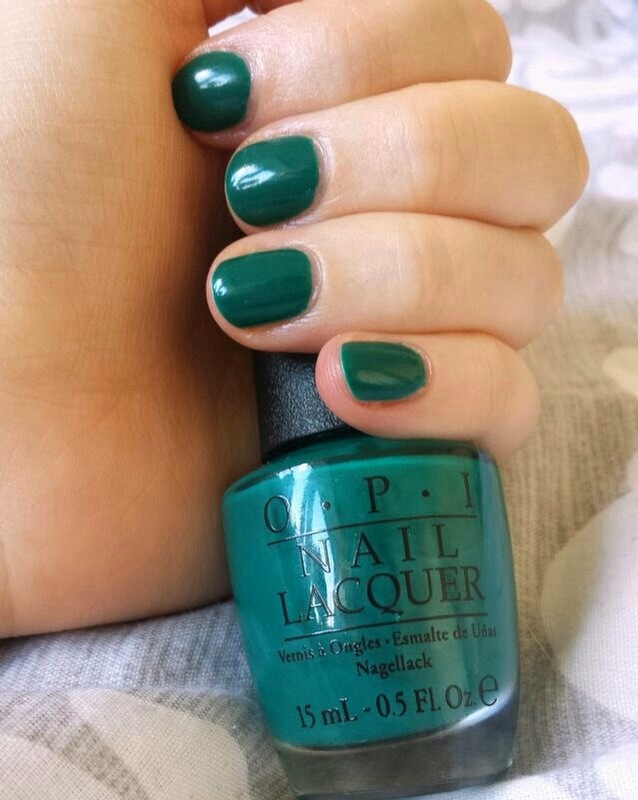 OPI’s AmazON AmazOFF is a dark teal-like shade (not quite completely green, not quite completely blue) that contains a subtle shimmer. It is part of their Brazil Collection from early on in 2014. In regards to nail polish, I had my decision narrowed right down to two shades - both by OPI. It was then an incredibly tough decision trying to choose between the two of them. The two shades were Turn on the Haute Light, a beautiful silver (the colour of a Diet Coca-Cola can) from their Coca-Cola collection, and AmazON AmazOFF. I decided to go with AmazON AmazOFF because even though I love Turn on the Haute Light, AmazON AmazOFF was slightly more unique to me. Not only is the colour a stunner, the application is great too. 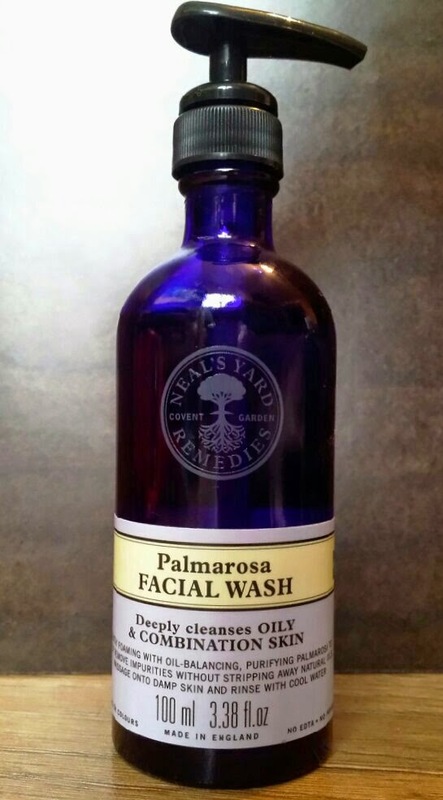 Neal’s Yard Remedies Palmarosa Facial Wash is a natural and organic face wash for oily and combination skin. I’ve mentioned this on the blog a couple of times already, but it fully deserves the love! This facial wash deeply cleanses the skin without stripping it of it’s natural oils. The result is less oily skin that doesn’t get overly dried out. I have found that since using this, breakouts are also significantly reduced. In addition to palmarosa, Neal's Yard Remedies Palmarosa Facial Wash also contains elderflower, calendula, tea tree, frankincense, nettle extract and lemon. As I explained in my Top 6 Facial Washes for Oily, Blemish-Prone Skin post, if you are using it to reduce blemishes then it won’t work overnight, but if you give it a couple of weeks it is truly brilliant. In addition, a little goes a really long way. That means that one bottle will last you for quite a while. 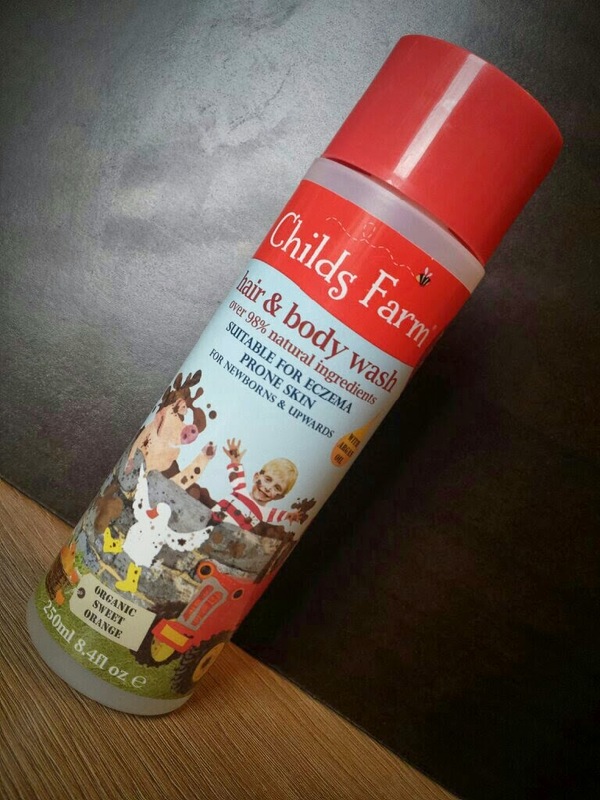 Childs Farm Caked in Mud Hair and Body Wash is a natural wash that is suitable for newborns and those with sensitive or eczema prone skin. It contains 98% natural ingredients, no parabens, SLS's, artificial colours or mineral oils, is pediatrician approved and is not tested on animals. This had to be included as my top product for babies this year. There is simply so much that I love about it! I adore how this brand clearly puts children first, and it shows in the products. From the bottle design to the wash itself, to the website and the fact that it has a cartoon based on the animal characters drawn by children’s illustrator, Emma McCall. Childs Farm Caked in Mud Hair and Body Wash is a top product overall. The best bit? It’s natural and organic, contains no nasties and it also leaves the skin soft and clean. It’s just an incredible product. 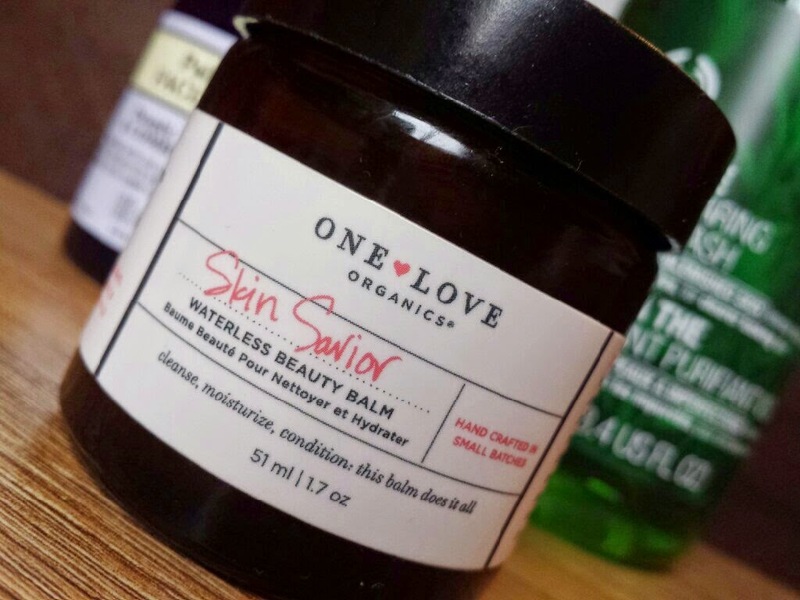 One Love Organics Skin Savior is a natural and organic, multi-use balm that contains a blend of essential oils, extracts and wax. The top product of the year for me was a no brainer. It’s another gem that I’ve mentioned a fair few times on the blog already, but the One Love Organics Skin Savior is the best product that I have tried this year. It is a multipurpose product (see my post about 11 Uses For One Love Organics Skin Savior), natural and organic and it works incredibly well. I primarily use it as a skin cleanser and since I began to use it my skin finally began to reach the right balance, and that is something that I have been trying to achieve for a long time. It can also be used as a moisturiser, lip balm, cuticle balm, you can make your own foundation with it or you can use it on your hair. I think that is my most recommended product this year and it is one that I have a lot of love for! All I have to say is that you haven’t tried the One Love Organics Skin Savior yet then you definitely need to. So there we have it! My top beauty products from 2014! What are your top beauty products of 2014? I wasn't really impressed with the beauty blender even though everyone else went crazy over it but you had some really good favorites!